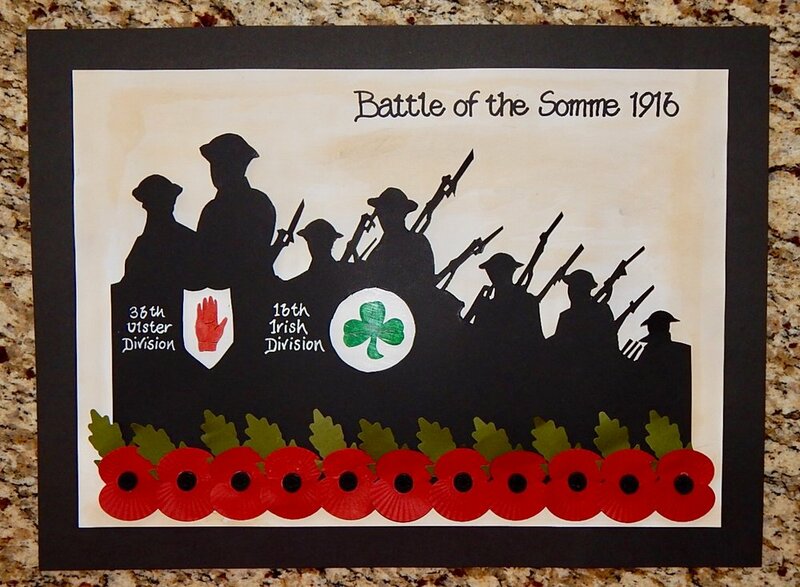 For the final period of the First World War centenary, Glasnevin Trust and Never Such Innocence (NSI) partnered to extend the NSI poetry, art, and song competition for children and schools across the Republic of Ireland and Northern Ireland. We were delighted to receive a host of excellent entries inspired by the First World War from children and young people aged 9-16. We are proud to celebrate the hard work and creativity of children from across the Island of Ireland as they play their part in commemorating the centenary and leaving a legacy for generations to come. 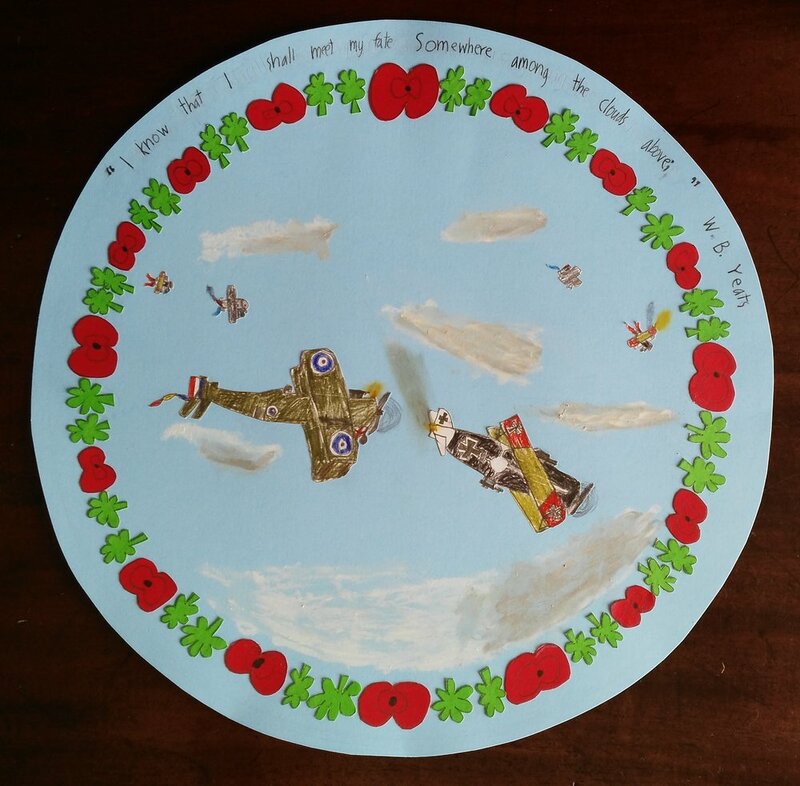 On this webpage are some outstanding examples of the creative work that children and young people have submitted, to mark the centenary. Every single entrant to the competition received a personalised Certificate of Commendation to thank them for taking part, and many children and young people joined us at Glasnevin Cemetery Museum in December 2018 to receive their certificates - more about this event here. Heroic war horse – worth remembering! To a place with Peace. Still, I’ll do my part. I’ll take up other jobs. I’ll take care of the children. For he is the fit strong male they are looking for. I’ll write to him like I should. I’ll wait for him like I should. Then he will come back like he should. This war is tearing things apart. Taking people we thought were ours. And still trying like I should. We are fighting like we should. His bag he packed and then he parted. Who he soon would refer to as his brothers. So they all joined up for a bit of fun. Maybe it was summer that they meant. “Just grab your gun and the trigger, PULL IT”. The muddy trenches filled with bodies dead. He knew he’d never be the same. Their bodies, they began to rot. The thought he bared of, “How much longer?”. “I love you mum” was the last word he ever said. The telegram they soon sent. His mother cried herself to sleep. Who lost her son in World War One. Their respect to so many whom they did not know. I’m a comforting blanket, for our heroes alas dead. I became the flower on which Remembrance Day was built. Who gave their lives for the peace we now know. Would you wear me with pride as you remember? Caught up in wars not created by them. And their stories to our children tell.